See the transformation these homeowners made to their homes by adding wood trim to create beautiful arched entry ways! I’ve been meaning to follow up with you. The arches look fantastic!. I could not be more pleased with them. The fit is as close to perfect as possible, given the existing openings we were dealing with. The jamb width was just right and only on the smaller arch will we need to add some drywall mud around the edges. southernliving.com. Hopefully he’ll be a good source of referrals for you. Will send some photos after the house is done - hopefully in 4-6 weeks. 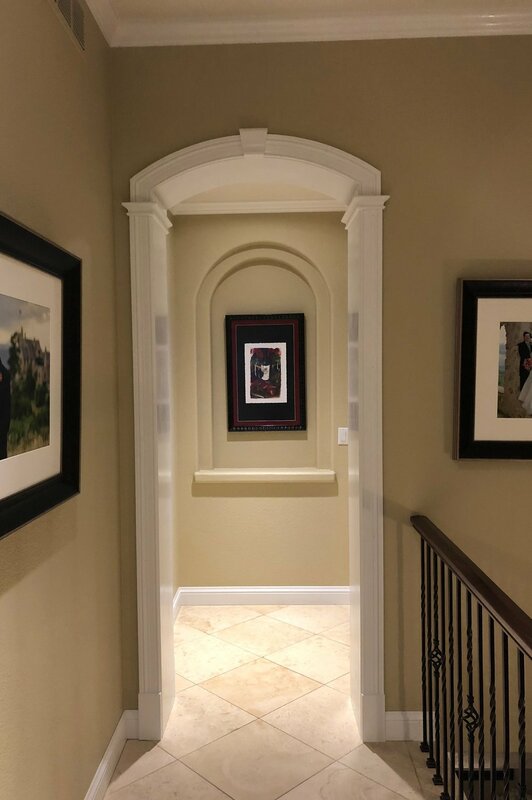 These before and after wood arch trim photos are provided by homeowners who have ordered and installed our interior archway products as a DIY project. It is an easy upgrade to any opening! Wood arch casing can quickly add value to your home.